Uhhh this... kinda speaks for itself. 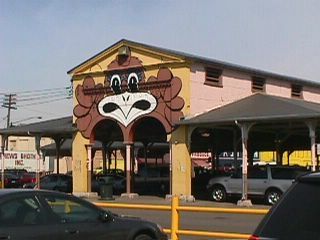 Eastern Market Detroit and the chicken that looks rather threatening looming over this buildings arched entrance. June 2nd shoot.